is he on three tables here or a four track? very clean sounding rave mega mix. havent heard alot of the house songs since i was in high school!!! This reminds me of Sketch Pad/Rose! Sketch Pad was definitely good times! I remember the first one in Santa Monica at the pub, off and running! Thank You Rose!!!! The kids today have No Idea!!! Moopup was always my favorite Sketch Pad DJ! I have a copy of ‘Another Dimension’ mixtape I bought off him after a great set at Sketch Pad/ Anthenian Gardens. Wicked mix of techno house! Although DJ Fabian was just as dope, in a darker way..
Oh Moonpup! Oh Athenian Gardens! Moonpup! Thank you so much for sharing those old mixes! I was the one that turned in this tape here to Simfonik….and let me tell you bro…I almost played it to death!!!! Your creativity and love of the music definitely shines through. Thank you. 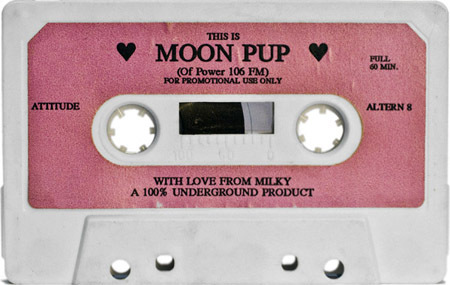 great tracklist – love that era – everything was still so new and underground dance was all over the boards – nice job Josh on donating and for tracklist – I think I still own almost all those records still :D – BIG UPS Moonpup – cheers! Thanks Randy! Nice spot buddy! 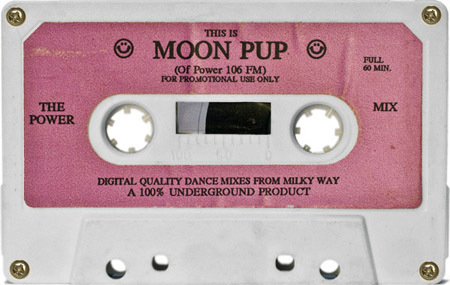 Love the mixes and tunes from this era, great job Moonpup! Is there a mix out there with “Its a Fine Day” track out there? Heard on an old cassette of my ex labeled “Moon Pup” back in the early 90s. Perhaps mislabeled, but a lovely chill mix. Cannot find anywhere.